You are at:Home»iPhone»Apps»Can’t Install Apps On iPhone X? Double Click To Install? The Fix! You can’t install apps on your iPhone X and you don’t know why. It says “Double Click to Install” on the screen, but you don’t know where to tap! 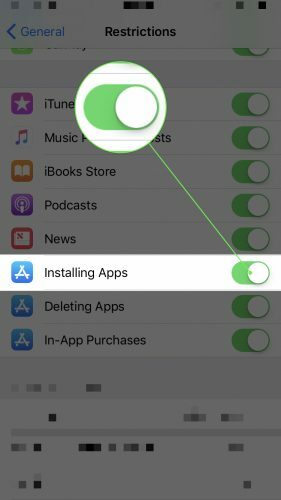 In this article, I’ll show you how to install apps on your iPhone X and what to do when apps won’t download! If you see “Double Click to Install” on your iPhone X, all you have to do is double-click the Side button. This will activate Face ID, which is used to confirm the installation of the app. This new App Store dialogue was introduced with the release of iOS 11.1.1. Many iPhone X users have found it confusing because the message doesn’t explicitly say where to click. 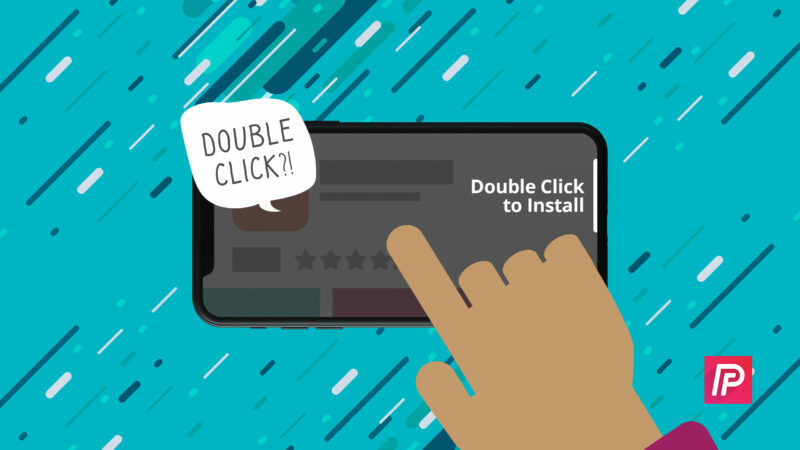 If you didn’t see the “Double Click to Install” notification, then there may be a software issue preventing your Phone X from downloading apps. Try restarting your iPhone X, which will allow of all of its background programs to shut down normally. To turn off your iPhone X, simultaneously press and hold either volume button and the Side button until you see slide to power off appear on the display. Swipe the power icon from left to right to turn off your iPhone. Wait about 15-30 seconds, then turn your iPhone X back on by pressing and holding the Side button until you see the Apple logo appear in the center of your iPhone’s display. There’s a chance that you can’t install apps on your iPhone X because of a software glitch within the App Store. By closing and reopening the App Store, you’ll give it a second chance to open properly the next time you open it. Open the app switcher on your iPhone X by swiping up from below the bottom to the center of the display. Hold your finger in the center of the display until you see the menu of the apps currently open on your iPhone. To close out of the App Store, swipe it up and off of the screen. You’ll know the App Store is closed when it no longer appears in the app switcher. If your iPhone X is in Airplane Mode, you won’t be able to install apps because your iPhone won’t be connected to its cellular or Wi-Fi network. 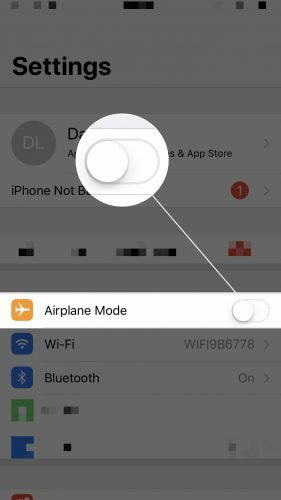 To turn off Airplane Mode, open the Settings app and turn off the switch next to Airplane Mode. You’ll know the switch is off when it’s white and positioned to the left. 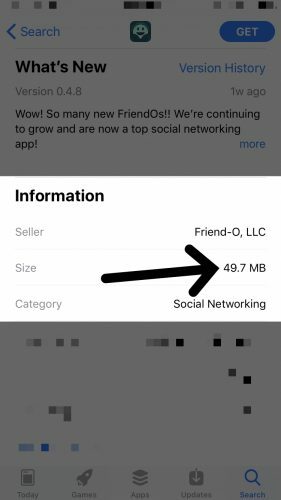 Furthermore, you can only use Cellular Data to download apps that are smaller than 150 MB. You can see how large an app is by tapping on it in the App Store and scrolling down to the Information menu. If Restrictions are set up on your iPhone X, you may have accidentally turned off the ability to install apps on your iPhone. Open the Settings app and tap General -> Restrictions to access the Restrictions on your iPhone. Next, scroll down and make sure the switch next to Installing Apps is turned on. You’ll know the switch is on when it’s green. If you still can’t install apps on your iPhone X, there may be a deeper software issue causing the problem. 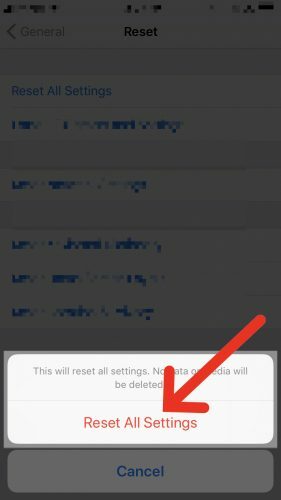 Sometimes, we can eliminate hidden software issues by reseting all the settings on your iPhone X and restoring them to factory defaults. Note: Before you reset all settings, make sure you write down your Wi-Fi passwords. You’ll have to reconnect to your Wi-Fi network after the reset is complete. Go to the Settings app and tap General -> Reset -> Reset All Settings. Enter your iPhone passcode, then tap Reset All Settings after the confirmation alert pops up on the screen. Your iPhone X will restart after its settings are reset. You’ve fixed the problem with your iPhone X and you can start installing new apps! We hope you’ll share this article on social media to show your friends what “Double Click to Install” means and help them out when they can’t installs apps on their iPhone X. If you have any other questions, feel free to leave them below in the comments section. Previous ArticleAirPods Won’t Connect To Apple Watch? Here’s The Real Fix! Next Article My Apple Watch Won’t Update! Here’s The Real Fix.